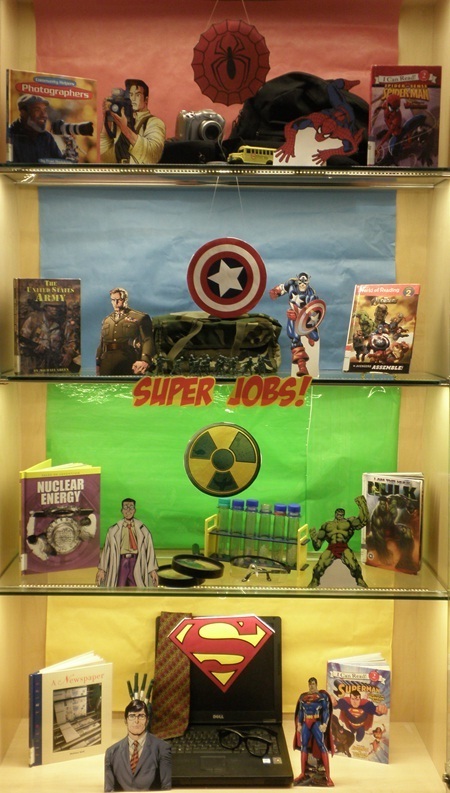 Provo Library Children's Book Reviews: Display - Super Jobs! An introduction to the job of a photographer that examines the tasks that they perform including taking pictures, the tools that they use, and the education and skills required to be a successful photographer. Spider-Man has to stop Venom who is very strong, fast, and out for revenge. Provides an introduction to the history, organization, function, equipment, and future of the United States Army. Introduces the members of the mighty superhero team, The Avengers--Tony Stark, or Iron Man; Bruce Banner, the Hulk; Thor; Steve Rogers, Captain America; Clint Barton, Hawkeye; Natasha Romanoff, the Black Widow; and Nick Fury of S.H.I.E.L.D. Readers will learn the history of the invention of nuclear energy in this title that includes information on the key players, the setbacks along the way, and the moments of discovery. Life isn't easy for Bruce Banner. He used to be a scientist. Now, as the Hulk, he's become an experiment. Scientist study him. Soldiers pursue him. But nothing can stop the Hulk! Introduces what a news room is like, who the people are that work to produce a newspaper, and how a paper is put together, printed, and delivered. When General Zod and his followers break free from the Phantom Zone and seek their revenge, it is up to Superman, Batman, and Wonder Woman to stop the criminals before it is too late.